Hi everyone! Today I’m sharing with you my sign up post for the Year of Reading Asian Reading Challenge, as well as some of the books I’m planning to read! The goal of the challenge is to read as many books written by Asian authors as you can in 2019 and is co-hosted by CW @ The Quiet Pond, Lily @ Sprinkles of Dreams, Shealea @ Shut Up, Shealea, and Vicky @ Vicky Who Reads. I’m aiming to reach the Malayan tapir level, which means I need to read 21 to 30 books. I already read a book this year that counts towards the challenge and it’s The Astonishing Color of After by X.R. Pan (full review). I decided to focus on books that are already out and that I own already, as a way to reduce my tbr pile. I’m hoping to read most of these books plus some of the 2019 releases with Asian main character and by Asian authors. Are you participating in #yarc2019? if so, which level are you aiming for? What books are you excited to read? have you read any of the books I mentioned? Every month, I post an update of how I’m doing in the challenges that I’m participatin in. If you want to know my brief thoughts about any of the books in this post, you can check out my March 2017 Wrap Up. I want to read a total of 80 books in 2017. I read 6 books in March and that means I have read 23 so far in 2017 and I’m 4 books ahead of schedule. Are you participating in any challenge? How are you doing? Have you read any of the books on this post? Did you like them? If you posted an update for your challenges, leave me a link! Every month, I will be posting an update about how I’m doing in the challenges that I’m participatin in. If you want to know my brief thoughts about any of the books in this post, you can check out my January 2017 Wrap Up . This is the challenge I’m most excited about and I’m glad that of the 8 books I have read so far this year, 7 of them fit in squares for the diversity bingo and they are all #ownvoices. I really want to fill all the squares by the end of 2017 and I think I’m doing really well so far. My goal for this challenge is to read 30 backlist books this year and to count towards the challenge the book has to have been realese before 2017. I’m very glad to say that 7 of the 8 books I have read this year count for this challenge. 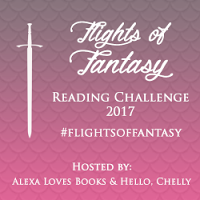 My goal for this challenge is to read 20 fantasy books in 2017. In January I read 2 books that work for this challenge and if I keep that pace I think I will achieve my goal. I want to read a total of 80 books in 2017. So far, I have read 8 books; 7 in January and 1 the first day of February. I’m 1 book ahead of schedule. It’s that time of the year when we have to choose the challenges in which we are gonna participate in. After thinking about for a few days, I chose to participate in 4 challenges hosted by other people and one challenge that I will be hosting that’s part reading challenge and part blogging challenge. I have participated in one of these challenges before, the rest are new to me and I’m excited to see how I do. This year I want to try and be more involved in the part of the challenges that’s more community oriented. Last yeat I read the books and kept track of how I was doing in each challenge and I shared that in my wrap up, but I rarely linked my wrap ups or reviews in host’s blog, I rarely commented in others people posts that were related to the challenges, I never participated in a twitter chat. It’s like I participated, but not really. I want to change that this year. I have been saying for a while that I want to read more diversely, but it’s only in the last couple of weeks that I feel like I have been making a consious effort to accomplish that goal. 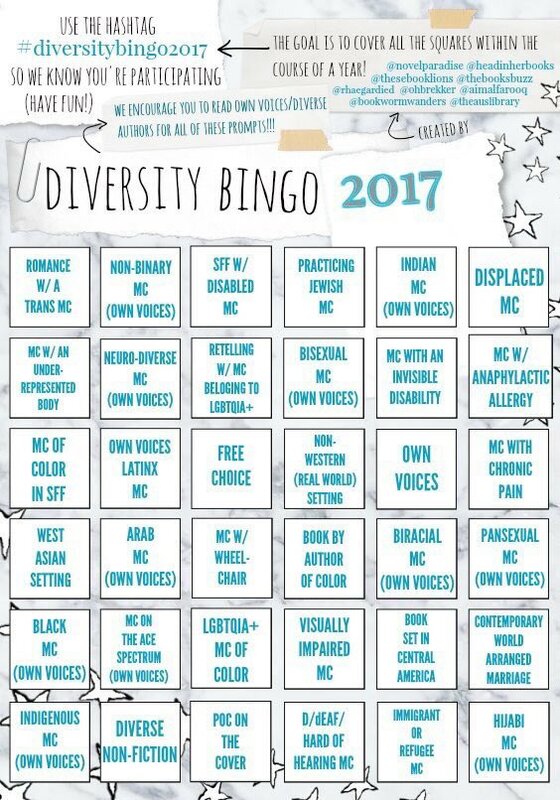 I want to keep working in 2017 to read more diverse books and specially more #ownvoices books, that’s why I decided to participate in the Diverse Bingo 2017. The idea is to cover all the squares within the course of a year. It was created by a bunch of wonderful people of twitter (you can find out who, if you click in the image). At the end of 2017, I will have read 36 diverse books and that’s really exciting. As weird as it may sound, I usually read more backlist books than new releases in a year. Because of that I joined a challenge to read backlist books in 2016 and this year I also wanted to participate in a similar challenge and that’s why I joined this challenge hosted @ Novel Knight. My goal is to read 30 backlist books in 2017, even if I think I will read more based on the amount of backlist books I read in 2016. Also, I will participate in the Hogwarts House Cup Mini challenge that’s tied to the Beat the Backlist challenge. My house is ravenclaw. You get points for your house based on the backlist books you read and every month a house wins the house cup. This challenge is hosted by Alexa @ Alexa Loves Books and Rachel @ Hello, Chelly. The idea is to choose a certain number of fantasy books and see if you can read them in a year. Last year, I participated in this one and I even participated for a while in the Flights of Fantasy Book Club. My goal for 2016 was 30 books and I didn’t complete that goal, but I did read 27 fantasy books. I was so close! Lately I haven’t been reading as much fnatasy as I used to and that’s why I didn’t complete the goal. For 2017, I’m lowering the number of fantasy books I want to read and that’s why my goal is to 20 fantasy books in 2017. The last two years I set a goal of 52 books in my Goodreads challenge, which means 1 book per week. In 2015, I read 55 books and in 2016 I read 100 books. I have been thinking about this for a while and I decided that I will try to read 80 books in 2017. I think that I will read more, but I want to push myself a little without putting to much pressure in myself. 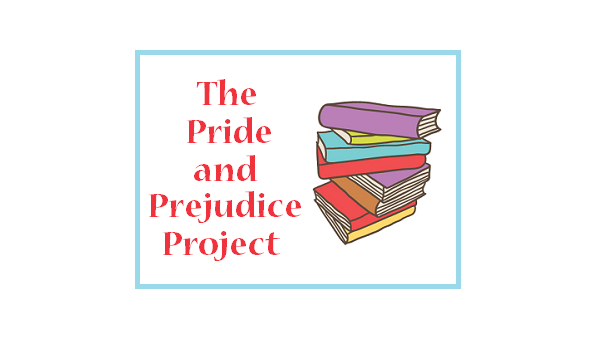 This is a sort of challenge that I will be hosting, the idea is to post once a month a review of a book that is based on or is a sort retelling of Pride and Prejudice or maybe a review for a movie adaptation or a TV show or a web series based on Pride and prejudice. Do you participate in challenges? What 2017 challenges are you participating in? Are you participating in any of the challenges I mentioned above?